Bumblebees are an integral part of the pollination process. Photo credit: shutterstock.com. One could easily dismiss the bumblebee as a small and insignificant insect having not much contribution to the ecosystem. After all, the average bumblebee is only 0.7 inches in length. However, such assumption is far from the truth as a bumblebee, as well as other bee species, are some of the most critical pollination agents to plants in the world. In recent years the bumblebee population has been decreasing at an alarming rate. Entire bumblebee colonies in North America, Europe, and Asia have disappeared altogether causing environmentalists to raise the alarm. Farmers from the affected regions are already feeling a reduction in crop yield attributed to low pollination. The decline is caused by a variety of reasons including the loss of habitat, infections from pathogens, and the use of pesticides. According to data from Nature and Ecology and Evolution Journal, the decline of the bumblebee population is to a large extent attributed to the use of certain agricultural pesticides. The records show that regions where a neonicotinoid-based pesticide is used have experienced the decline of bumblebee populations. Scientists have established that bees, which are exposed to the pesticide, are less likely to flourish as the queen bee is less likely to lay eggs. With the decline in eggs from the queen bee, a colony is usually at risk to disappear as bumblebees do not establish huge colonies as those seen with honey bees. Three compounds found in the pesticide like thiamethoxam, imidacloprid, and clothianidin have all been established as the cause of the reduction in eggs from queen bees by as much as 26%. The Guardian reported that the European Union had voted to enforce a two-year temporary ban against the use of neonicotinoid-based pesticides in its member countries. 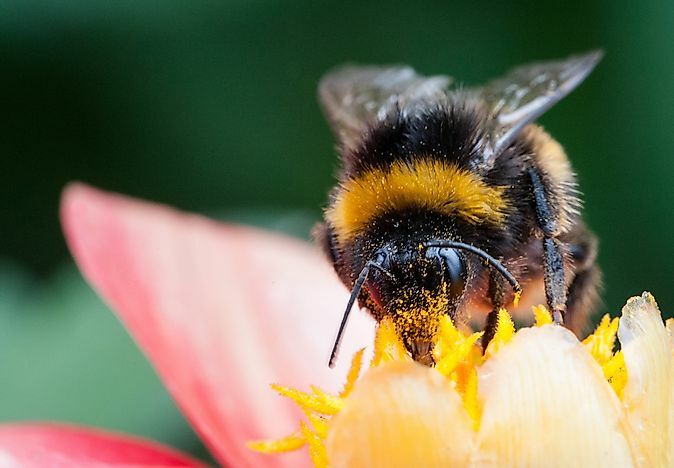 The ban was well-received by environmentalists as well as the European Food Safety Authority who saw it as a step in the right direction towards the stabilization of the bumblebee population which had fallen drastically in Europe. The ban was heavily criticized by big chemical companies which felt that it would affect their sales. Leading pesticide producer Bayer denied that neonicotinoid was the cause for the fall in bumblebee population and shifted the blame to poor farming techniques employed by farmers. The European Union decided to extend the ban which remains in force with its provisions currently under review.